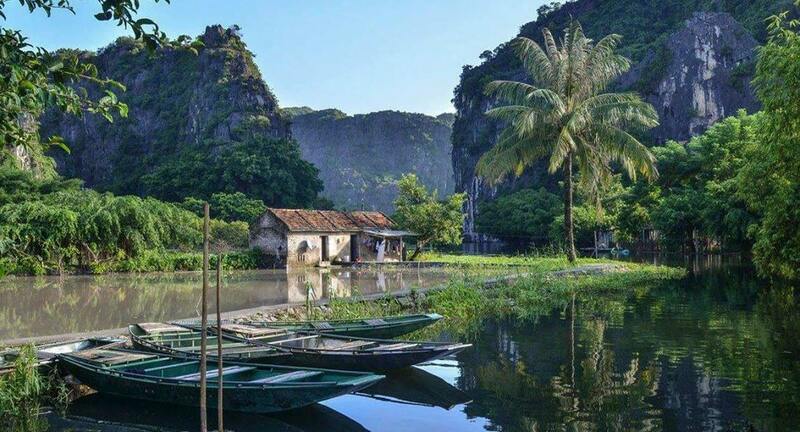 Viet Nam in your pocket! 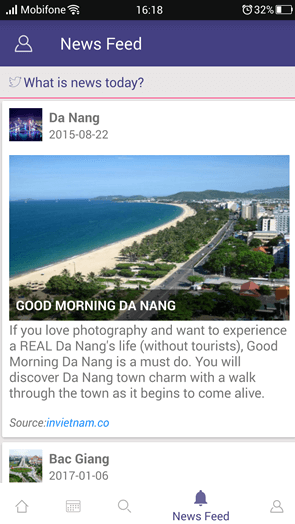 inVietnam - Viet Nam Travel Guide contains complete and up to date city guides for 63 vietnamese provinces like Da Nang, Ha Noi, Sai Gon, Nha Trang, Hoi An, Hue and many other travel destinations in Vietnam. It could work offline, you don't need an internet connection! 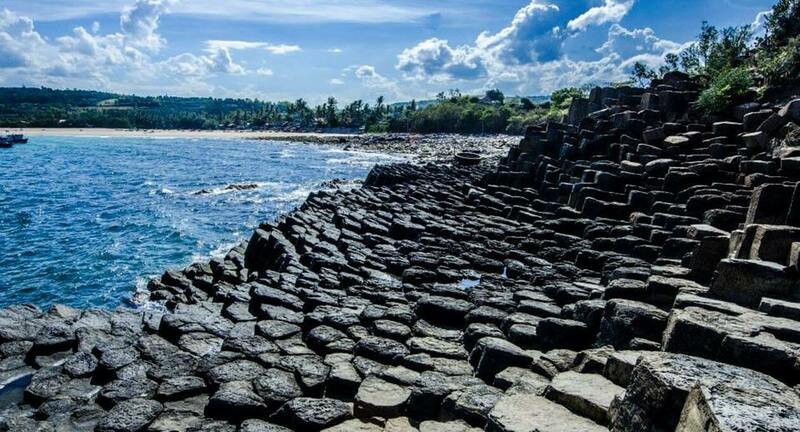 Locals are the best source of knowledge when it comes to travel tips, and as tourists increasingly turn to online resources to orientate themselves in a new place, their advice becomes even more invaluable. 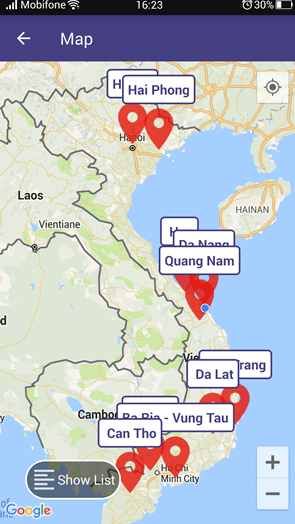 The inVietnam app lets you browse lists curated by locals — which you can also filter according to restaurants, bars and activities. 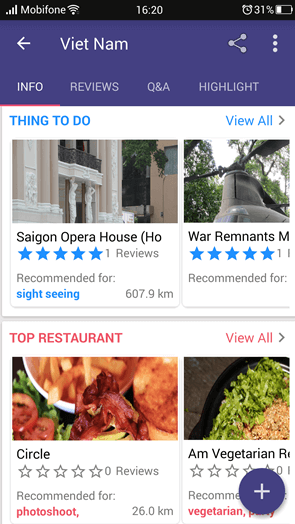 Since the lists are personal recommendations, some of them boast unique angles like where to take the ladies, unique movie theaters, or hidden cafes. 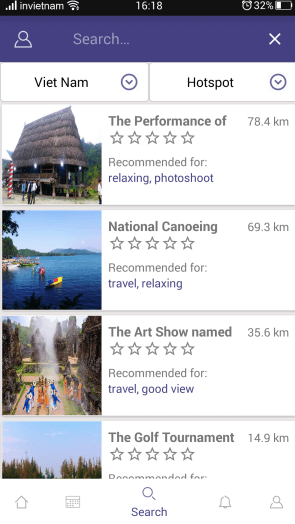 Paper guidebooks used to be the ultimate offline travel accessory, but even they have made the transition to the digital age. 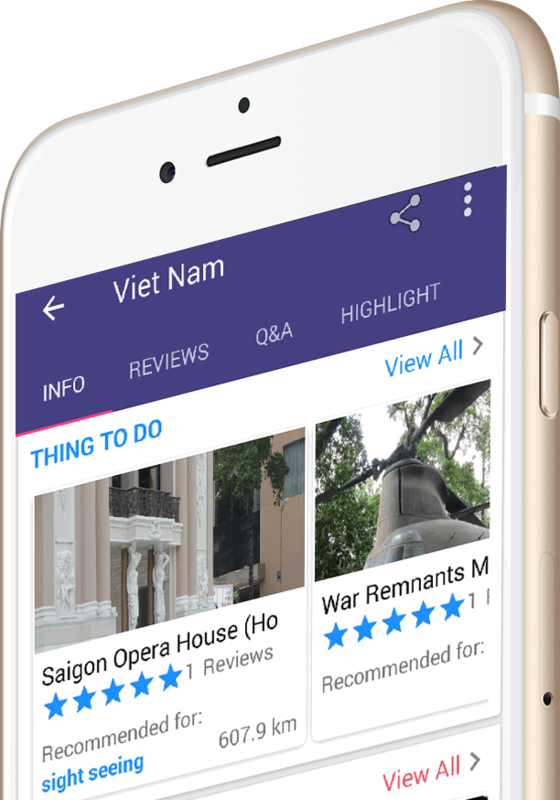 With inVietnam App you’ll get recommendations for activities, hotels, restaurants and more, including a map and basic directions. 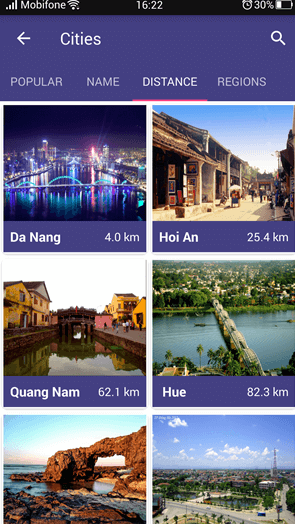 There’s plenty of background information on each destination, as well as phrasebooks and more. 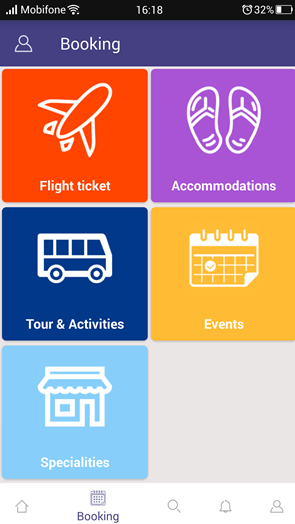 Enjoy the next level experiences you can get from our app. Each guide includes info about the major sights, great restaurants, different nightlife options and more. 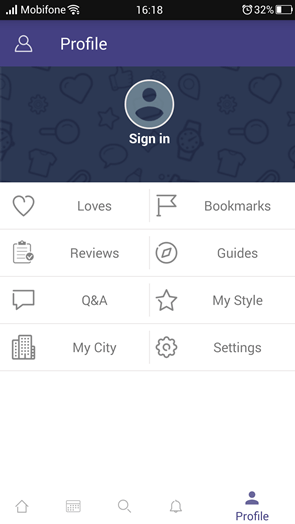 We update the app regularly so we can make it better for you. 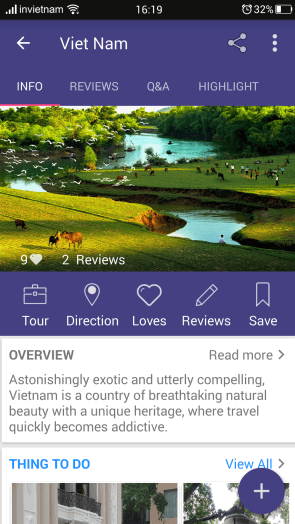 Thanks for using inVietnam - Viet Nam Travel Guide App! 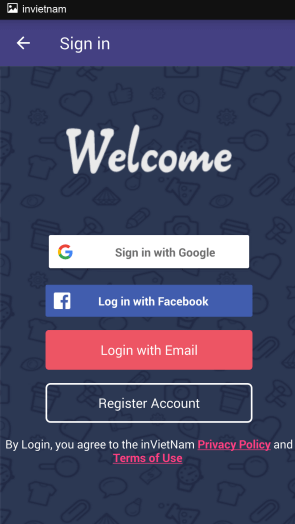 Because other apps are either money waste or way to complex. Smart suggestions based on 4 dimentions GPS - time - weather and personal style. 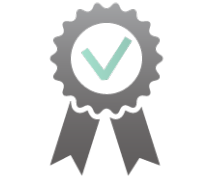 Authenticity content build by the locals. 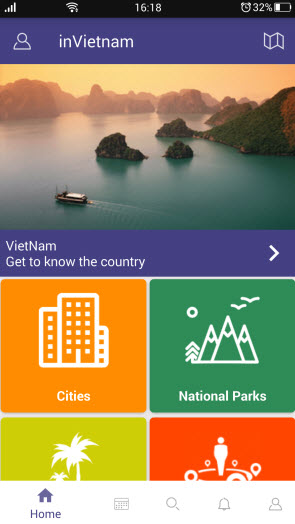 Explore Viet Nam with a trusted guide in your pocket! 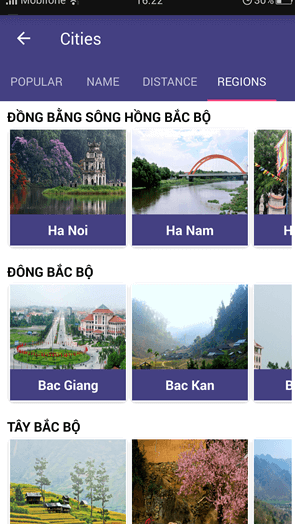 * inVietnam App is 100% Free, Authenticity and work offline. 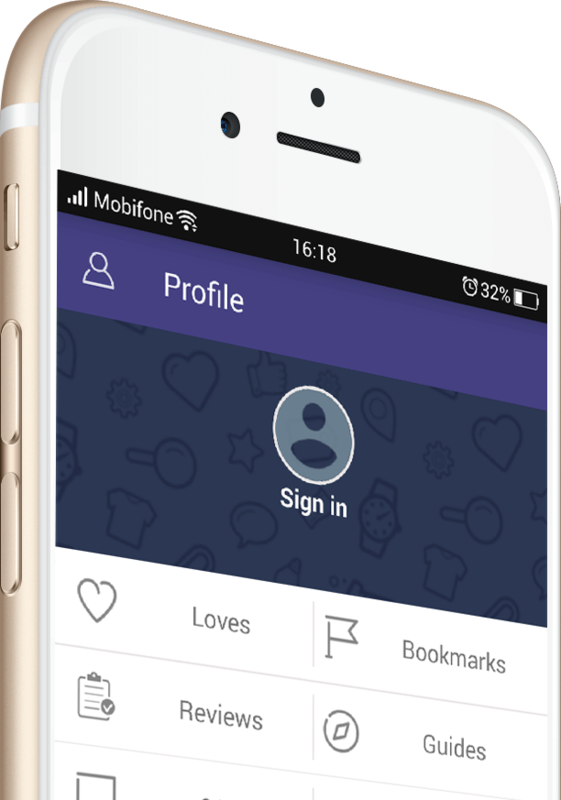 See how our app is designed in beauty and simplicity. 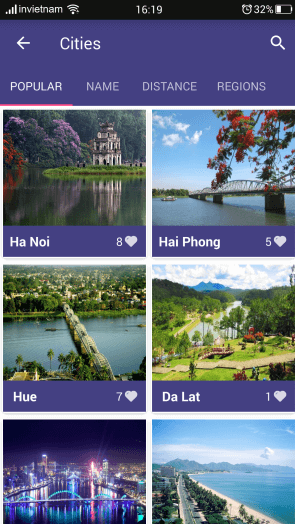 Let's discover Viet Nam with our Free local apps. 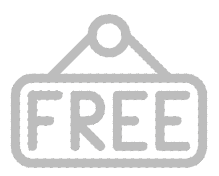 Join our 10,000 subscribers and get access to the latest product announcements and much more! Copyright 2016-2018 inVietnam - All rights reserved. We'd Love To Hear From You. 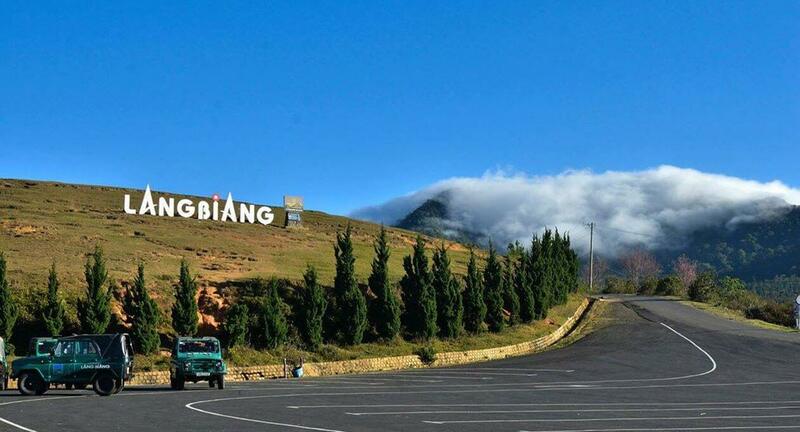 inVietnam is an ongoing project and we welcome all contribution. We love to work with businesses and organizations of any size. If you have an interesting project please get in touch!